At Smart Money People we’ve been fascinated by building societies for a while. While there’s no doubt that there's a lot of focus on FinTech start-ups like mobile-focused challenger banks, we’ve been wondering what the future looks like for building societies. 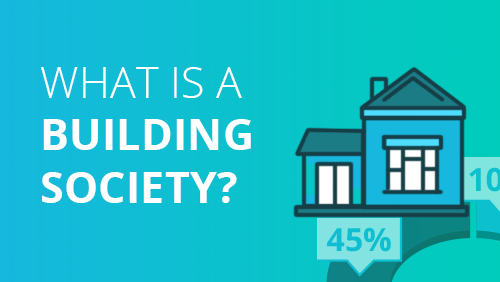 In this post, we take it back to basics, and ask just what is a building society? What do consumers really think they do, and how do they compete for the hearts and minds of consumers in the twenty-first century? We’ve aimed to provide a quick consumer guide to building societies. What are they, what do they do, who’s who, and what does the future hold for them. We’ll also present the results of a survey we carried out, which has provided us with real insight into the attitudes of the UK population towards building societies. A building society is a financial organisation owned by its members as a mutual organisation (unlike banks which are owned by shareholders). Building societies offer banking and related services, but tend to focus on savings and mortgages products. Most building societies have a clear regional focus. For example, the Marsden Building Society is focused on the North West of England. Banking is getting more competitive. Banks like M&S Bank, Tesco Bank and Virgin Money are expanding into traditional markets. And although it’s too early to analyse the impact of digital challenger banks, there’s a clear rush to lead the mobile banking field, with the likes of Atom Bank, Starling Bank and Tandem Bank all gearing up to launch current account propositions. The growth of FinTech has meant that nimble start-ups are able to jump into attractive (and profitable) markets. 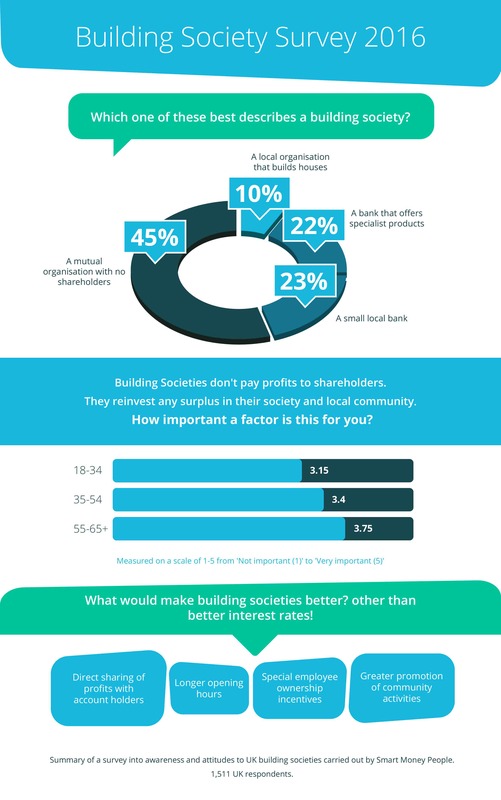 But in an increasingly competitive (and digital) landscape, where do building societies fit in, and what makes them special? Our findings: Younger respondents cared least about mutuality (providing a rating of 3.15 / 5), while older respondents viewed this as a more important factor (a 3.75 rating). Our findings: Other than better savings rates (which proved to be the overwhelming consensus), other suggestions included: longer opening hours, greater awareness about community activities, special employee ownership incentives, and direct sharing of profits with account holders. The UK has 44 building societies. They range in size from a single branch up to 700 branches. Here’s a list of building societies ordered by total assets (data from the KPMG Building Societies Database, December 2015). We're optimistic about the future for building societies. Some building societies, such as the Yorkshire Building Society are increasingly seeing themselves (and starting to act) like challenger banks...albeit in a mutual skin. And although in the first half of 2016 just 10% of our community told us that branches were their preferred channel, it's clear that a segment of the community still really values local branches. We’re currently running the British Bank Awards. These awards champion great customer service as well as real innovation. They also help to provide a real barometer of what’s going on in the wider financial world and deliver industry leading customer insight. Will one or more building society walk away with one of our awards? We’re calling on building society members to share their experiences via a quick review. We’ll update this post if they do!